On June 16th, the Wonder Girls performed their latest hit, Like this, on KBS‘s Love request. For the performance, the ladies dressed in bold, bright pieces that fit perfectly with their dance song. Member Yoobin, wore the popular Joyrich x Giza Multi Geometric Dress, which has been seen on stars like f(x)‘s Victoria and Jewelry‘s Baby J. Luckily for fans, the dress is on sale at Karmaloop for 50% off, for a special price of $70.95. Total steal! 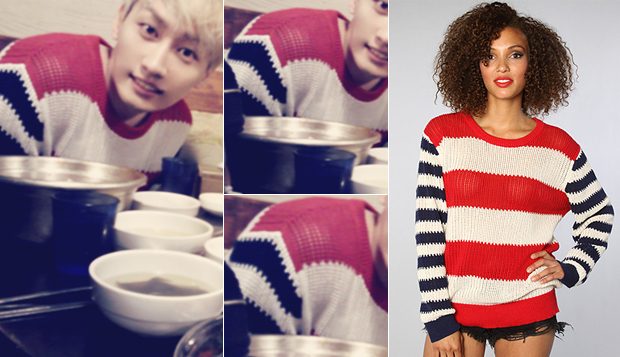 For more savings, be sure to use repcode Kstyle for up to 20% off your entire order! Not to mention, Karmaloop is offering FREE shipping and a $20 giftcode for all orders over $75 with promo code Movin. 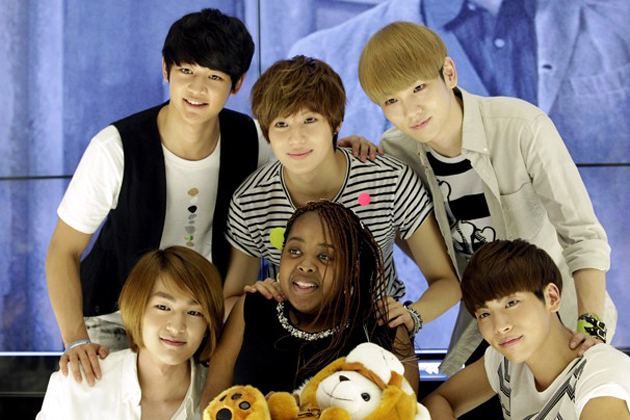 On June 20th, SHINee met with a very special fan, Donika Sterling at an arranged event for her at the S.M.Entertainment building. There they were able to meet, share and sing for the American teenager. At the event, member, Key, wore the LA Cross Bone Tee from the Summer 2012 Joyrich collection. The tee is currently available at Karmaloop for just $35.00!As always, repcode Kstyle can save up to an additional 20% off your order. Last month, our favorite K-Pop groups visited Bangkok, Thailand, for the Korean Music Wave in Bangkok Concert. In attendance was After School, who performed their hits in summer fitting pieces. Member JooYeon sported the Cash Flow Washed Denim Short from the Summer 2012 Joyrich collection. It is currently available at Karmaloop for $132.00. As always repcode Kstyle can save you up to 20% off your purchase.